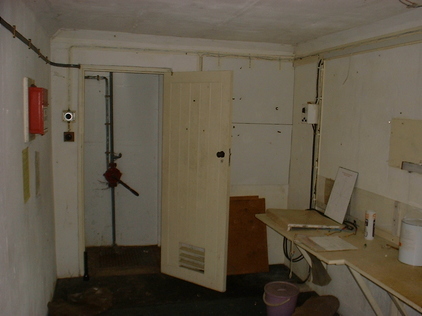 Underground Nuclear Bunker, Royal Observer Corps Master Post, Brundall, Norfolk. Post 35, Number 6 Group (Norwich). A rare opportunity to own a piece of genuine cold war heritage. 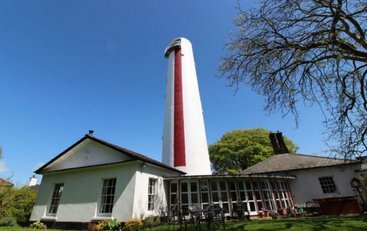 The bunker is located in the heart of the Norfolk countryside, surrounded on all sides by arable farmland. Most bunkers were built on high ground so their ground zero cameras would have panoramic views of the horizon. 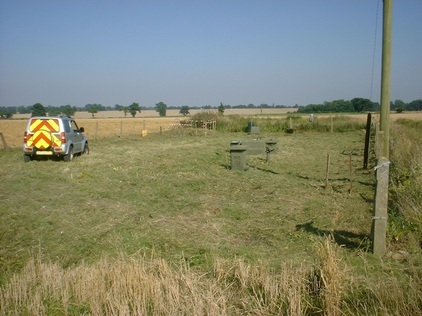 This plot is no exception and benefits from a very pleasant vista of surrounding unspoilt Norfolk countryside. Built in 1961 at the height of the cold war, and barely in time for the Cuban missile crisis, it is one of 1,560 similar bunkers constructed in a massive programme which began in the 1950s, to meet the nuclear threat of that era. At the time, each bunker cost the equivalent of an average terrace house to build. 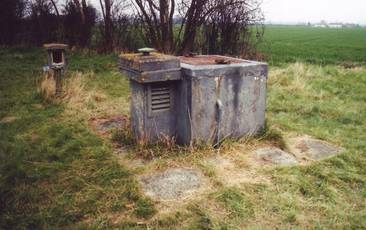 It provided protected accommodation for a three person volunteer crew of the Royal Observer Corps which was the RAF civilian uniformed field force of the United Kingdom Warning and Monitoring Organisation (UKWMO) – a division of the Home Office. In the event of hostilities, the bunker would be permanently manned in shifts. 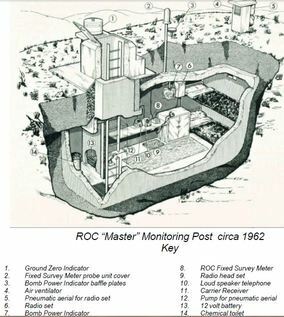 After a nuclear attack the role of the crew was to plot the positions of nuclear bursts, measure their power, and monitor ensuing radiation levels, reporting this data to control centres to enable military planning and protection of the civil population. 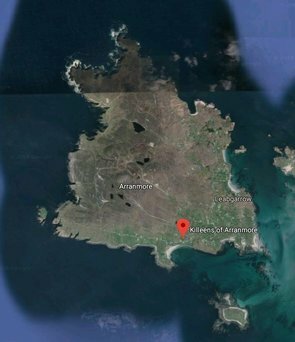 The crew would also be expected to provide a rudimentary weather reporting service and to provide field patrols to survey local damage levels. This bunker survived the civil defence cutbacks of the mid 1960s when half the original number were closed, many now having been demolished. The bunker was in regular weekly use for training and exercises until 1991 when the organisation was stood down in the wake of the collapse of the Soviet Union. There are now thought to be fewer than 900 of these posts surviving in the entire UK and many are in very poor condition, having been flooded or vandalised. This example remains in excellent condition, having escaped those fates. 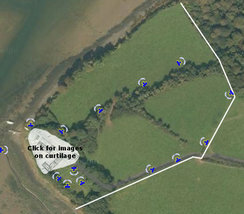 The compound comprises a larger than average low-fenced plot of 700m2 (subject to survey) and access is over a right of way along a 200 metre farm track from the main road. It lies in the parish of Strumpshaw, but was named ‘Brundall Post’ based on the nearest telephone exchange. 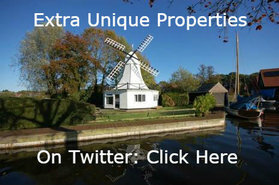 The Broadland village of Brundall lies along the Norfolk Broads, and enjoys easy access to boatyards and the River Yare. The village of Brundall boasts several shops including mini-market, post office, pharmacy, library, pubs and restaurants and a rail station. Apart from the farmhouse, which is about 300 metres away, the nearest habitation is approx 1km from the bunker. The bunker is built to a standard government design which was followed religiously. It was cast in a continuous process as one solid piece of steel reinforced concrete so that it could move in the ground as one if it were subject to the shockwave from a nearby nuclear burst. It is ‘tanked’ by waterproofing with bitumen and then an outer layer of bricks to protect against penetration. Unlike some bunkers, this example never suffered from water ingress and has remained absolutely dry, a testament to quality construction. 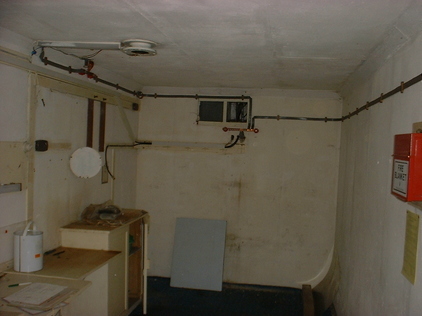 Operational bunkers were modified by the Home Office in the 1980s with polystyrene insulation to the internal walls and ceiling and this remains in good condition. The floor level is approximately 5 metres below ground level. 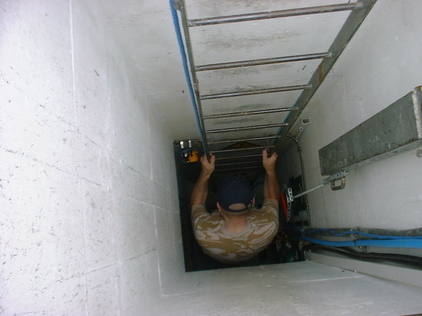 Entry is via a vertical concrete 5 metre deep shaft with a fixed steel ladder, accessed by a counterweighted steel hatch. There is one main ‘monitoring room’ of approx 11.4m2, with an additional small WC room just off the entrance shaft. There are two ventilation shafts: one is parallel with the access shaft and the other is at the opposite end of the main room. These are designed to provide natural air flow. Each ventilator is fitted with sliding blast shutters. A vertical instrument tube links the monitoring room with the surface, together with a pressure measuring pipe. This bunker is particularly special as it was designated as a ‘Master Post’ because of its position and was the one in a group of 5 or 6 posts selected to be equipped with radio, supplementing the landlines and linking to the control centre and other Master Posts. In this role it has fixing points for a telescopic mast, radio connecting cable, and is fitted with a special earth bonding system to protect against electro-magnetic pulse (EMP) from nuclear detonations. 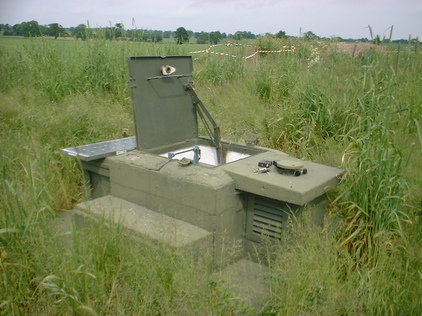 In 2002 some post cold ware modifications were made to prepare it for a new use as a radio monitoring station, because of its elevated site. The floor has been completely insulated with 50mm thick slabs of polystyrene under the heavy duty original rubber floor. 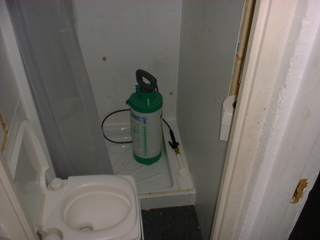 The WC room was lined and fitted with a shower tray. Some cabling was installed to the bunker and ducting inside. One wall has been fitted with cabinets and work surface, with a basin. The monitoring room door was re-hung the opposite way and the WC door removed. 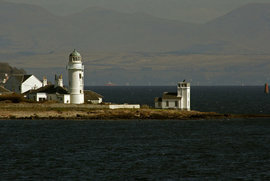 There are no grid services such as water, electricity or sewer connected to the site. However, the original ‘wartime’ private telephone circuits now form a PSTN landline telephone connection, provided on overhead lines. These lines are intact, still maintained by BT and were in use until only a few years ago by the owner for voice and data services. The site is in range of some cellular mobile masts although an external antenna would be needed as radio signals do not penetrate the deep bunker. Electric power has always been provided by a generator and batteries. There are no neighbours close enough to be disturbed by generator noise. A sump at the bottom of the entrance shaft is designed to collect any rainwater that enters when the hatch is open. A manual bilge-type pump at the bottom of the shaft pumps this water to the surface where it is piped to a soakaway – this has never been needed in past 15 years. For those buyers interested in a historical restoration project, some artefacts of genuine period internal equipment are in storage and available by separate negotiation. This includes 1980s radiation measuring instruments (fixed and mobile), a rare ‘Teletalk’ loudspeaking communication set, original bunker generators, original RAF mattresses, signage and documents. 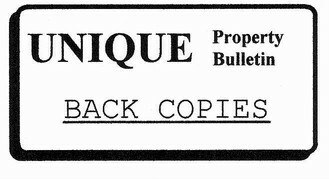 The information here does not form part of any contract of sale. 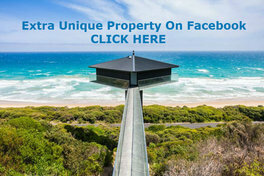 Any prospective purchaser should satisfy themselves of the condition of the structure and land and any legal issues. There are no planning consents for the site and it is currently believed to be sui generis. 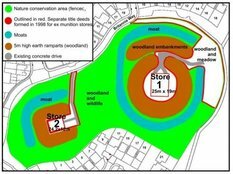 It would be up to the prospective purchaser to confirm that any intended use would meet with approvals. The local authority is Broadland District Council. 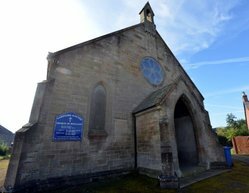 The photographs accompanying the listing have been taken at various times and some of the fixtures and surface features may have changed. The buyer is responsible for all conveyancing fees. No clawback clause applies to this sale. By nature, underground buildings can be hazardous and visitors should be aware of the risks. Under no circumstances is anyone to visit the site unless accompanied by the owner. 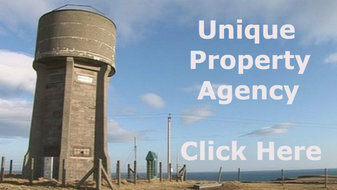 The owner is happy to answer any queries from potential purchasers. Please contact via Unique Property Bulletin email messages. 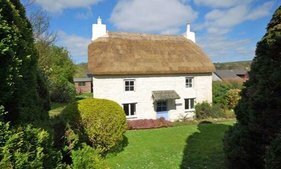 All viewings will be accompanied and can be arranged on most days, including weekends. More academic information on the UKWMO and bunkers like this one can be found on the excellent Subterranea Britannica Website www.subbrit.org.uk whilst the representative state of surviving bunkers is reviewed on the interesting and thorough 28 Days Later Urbex site www.28dayslater.co.uk. Designation: Post 35, Number 6 Group (Norwich). UKWMO ROC Master Post, Brundall, Norfolk. Guide: To Be Advised. Please keep an eye on this page during October and November 2017. On 3rd October 2017 the owner of UKWMO Brundall in Norfolk advised us he will be selling his ROC Nuclear Bunker during late October/November 2017. More details to come including guide price and bid process. The most efficiently way to keep up to date with UKWMO Brundall sale news is to “follow” our Unique Property Bulletin Facebook Page as we will be uploading the precise details of sale once the owner of UKWMO clarifies that with us.